Federal and state officials unveiled a disaster plan today for dealing with flooding, landslides and power outages this winter. El Niño-related storms are expected to hit California, Nevada and Arizona this month and continue through early spring. California, especially southern California, is expected to receive above-average rainfall from December through March. Emergency planners say Californians will likely be battling a range of disasters, including mudslides, floods, rising tides and downed trees that cause power outages. And the drought has packed the soil, which could make conditions even more more difficult, says Mark Ghilarducci, director of the state Office of Emergency Services. "The land is very, very hard," Ghilarducci says, "and so we're very, very concerned about flash flooding." Areas like Lake County, where wildfires decimated trees that normally hold soil in place, are susceptible to mudslides. "In the burn scar areas -- we had some catastrophic fires this summer -- we're very concerned what this heavy water will do to those areas," he says. Along the coast, above average sea surface temperatures related to El Niño mean higher sea levels. 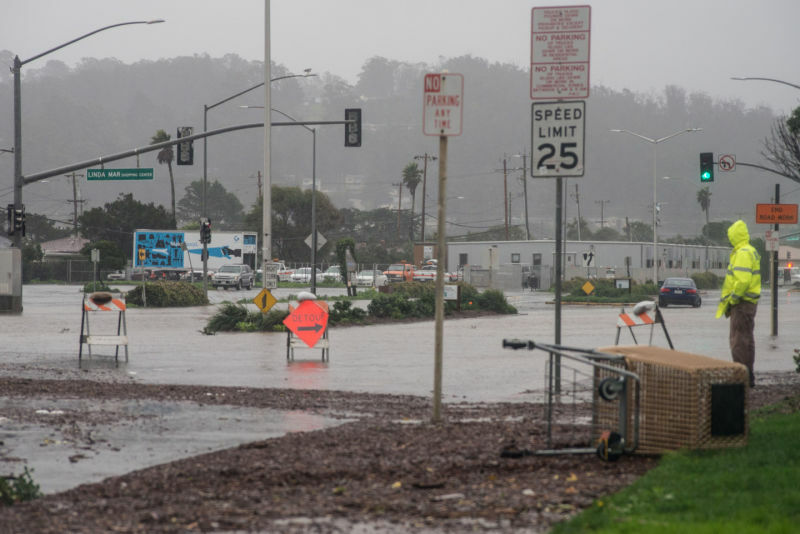 And the El Niño conditions, coupled with King Tides, create even higher tides dubbed Tall Kings, according to the National Oceanic and Atmospheric Administration. Tidal highs are already breaking records. During Thanksgiving week, tide stations at San Diego, La Jolla and Santa Barbara recorded the highest tide levels ever. Because Arizona and Nevada are deserts they are less vulnerable than California. Arizona is susceptible to flash flooding, however, which it often experiences during its summer monsoon season. The impact on Nevada will depend on how much water flows down Eastern Sierra rivers and drainages from melting snow. El Niño is a series of ocean conditions defined by above-average sea surface temperatures in the equatorial Pacific. NOAA forecasters say this year's El Niño is stronger than usual, and has a 95 percent chance of continuing through the winter. The last time San Francisco experienced an El Niño of this magnitude, in the winter of '97-98, the city received double the normal amount of rain. 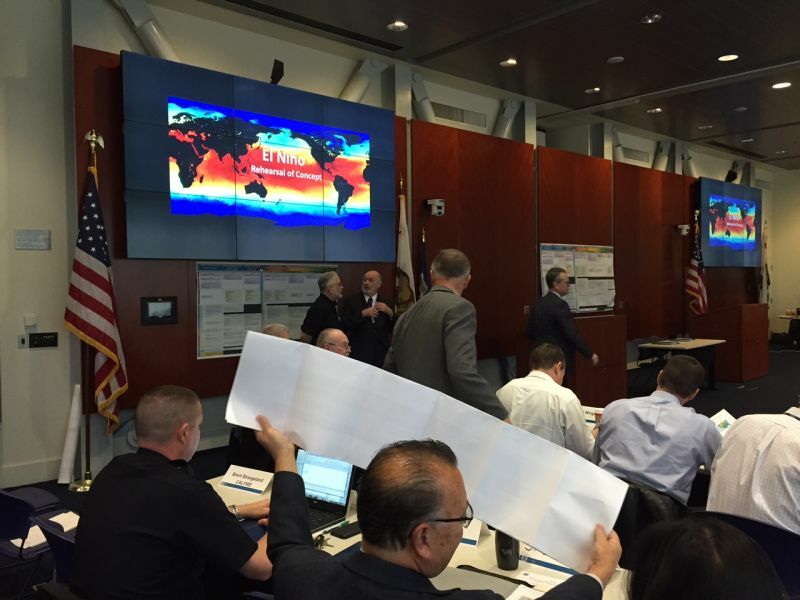 During The Federal Emergency Management Agency and California's Office of Emergency Management drill in Sacramento today, the agencies offered tips to the public, and urged people to prepare. Visit floodsmart.gov to see if you live in a flood zone (one in five Californians live in a flood prone area). Make sure you have a plan in place before, during and after heavy rains. Visit ready.gov for tips. Consider buying flood insurance. It's not included in most insurance plans. Help out. FEMA is looking to hire 500 people in California, Nevada and Arizona to help with response efforts. The agency is especially interested in engineers, construction or social workers. If you live in a low-lying area, ask your local fire department where you can buy sandbags.